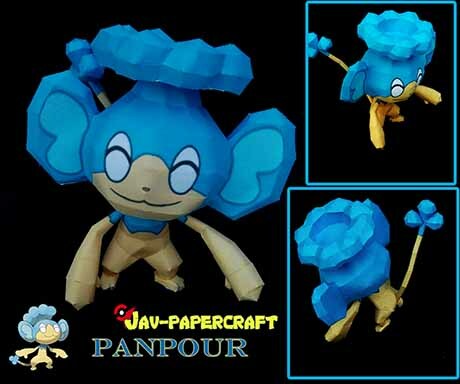 Panpour is a simian, blue-and-cream Pokémon. It has oval eyes that are usually seen closed, large ears with light blue insides, and a tiny, black nose. Papercraft from Jav-Papercraft.